Around this time last year, Runtown was on the verge of being ushered into the upper echelon of Nigerian pop music sensibilities off the massive success of his “Mad Over You” single. Till date, many still regard it as his biggest hit but in a bid to hold that top spot, he has put out subsequent releases; “For Life” and more recently, “Energy”. Just as the title suggests, “Energy” shows off the pep in Runtown’s step since last year’s success. The laid-back mood has him warding off negative vibes as he sings “No Man Can Take My Joy Away” over the mellow guitar led beat Del’B produces. The video which is directed by Isaac Yowman also emphasises this motif with the slow-motion shots and all round relaxed texture. The narrative also remains pain and simple as Runtown performs the song without any complicated scenes. The video for “Energy” is set on a sunny day, perfect for Runtown and his love interest to take a drive in his convertible. Birds-eye shots follow them through the open road till they eventually stop and we get a more closeup view of the lovers in their dark shades. And as the sun sets, Runtown lights up a blunt before he’s seen at a party where models dance and rounds are served—establishing the lightweight and swinging mood of the single expected to enjoy a lot of circulation in the coming weeks. 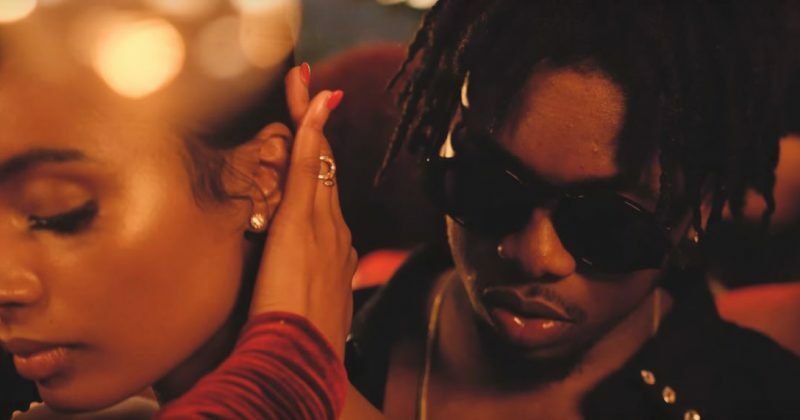 You can stream Runtown’s video for “Energy” in 4K below. Previous Article Cassper Nyovest’s concert becomes the third most attended at the FNB Stadium.